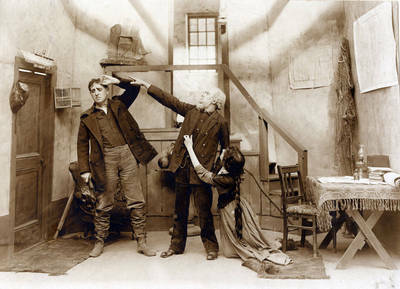 "Herbert Bostwick in an Edison silent film"
Production still from one of the Edison silent films. Herbert Boatwick, at the left, is featured. BW photograph, sepia tone, 4.25" x 6"